We got ourselves some coupons from Groupon Australia for the adventure cruise. Initially it was supposed to be the four of us, our family + Azah. Later on, I decided to ask Siti and they were totally elated to come with us. So, it was basically the same group that went to Lakes Entrance, minus Suzy. 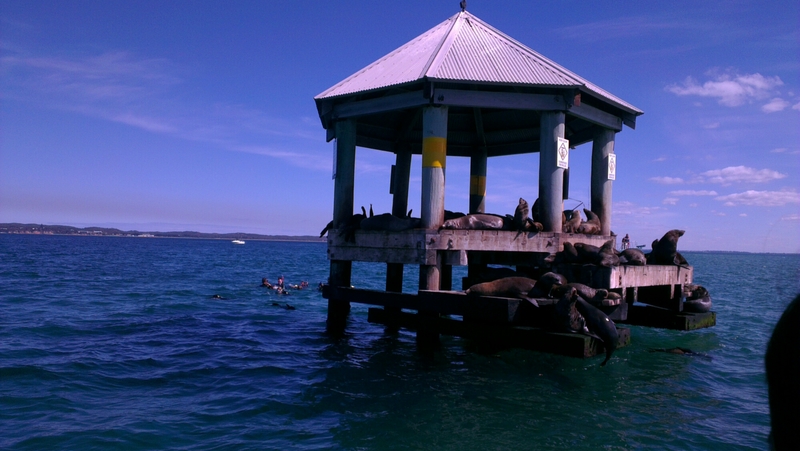 A group of friendly seals 'chilling' out at their regular port.